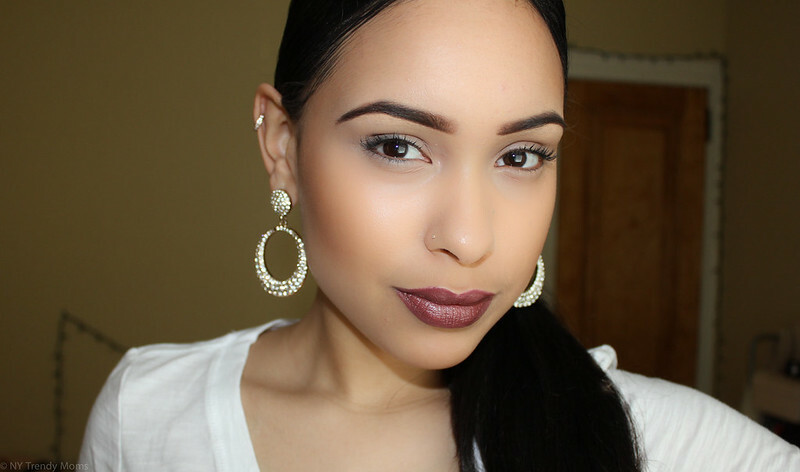 When it comes to wearing a dark or bold lip shade, things can easily go wrong. Today I'll be sharing 3 great ways to avoid wearing too much when you're trying to make a statement. Hoy voy a compartir 3 grandes maneras de usar lápiz labiales oscuros. Did you catch the beautiful actress, singer, and Pantene Spokesperson, Maite Perroni, light up the magenta carpet at Premio Lo Nuestro and dazzled with the help of Celebrity Stylist and Pantene Ambassador, Gabriel Samra, as she welcomed some of the biggest Latin music stars to this year’s awards ceremony? 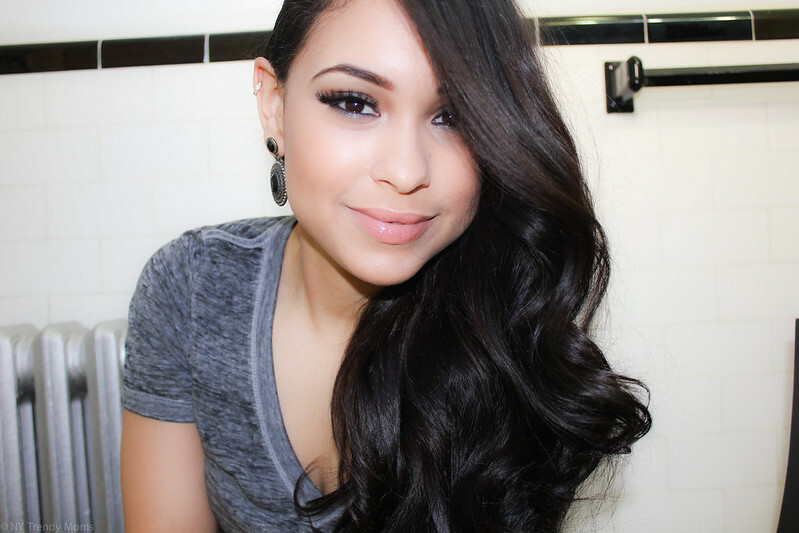 Below, you will find a step by step on how to recreate those glamorous waves that Gabriel Samra did for Maite for Premio Lo Nuestro. La bella actriz, cantante y embajadora de Pantene, Maite Perroni, alumbro la alfombra magenta de Premio Lo Nuestro y lucio espectacular con la ayuda del Estilista de Celebridades y Embajador de Pantene, Gabriel Samra, mientras recibía a las más grandes estrellas Latinas en la entrega de premios. A continuación, encontraras paso a paso como recrear el peinado que le hizo Gabriel Samra a Maite y que ella lucio en Premio Lo Nuestro. Astoria has come a long way since it's early Dutch and German days in the 17th century. The people who inhabit this now-popular middle class neighborhood are Greeks, Middle Easters, Brazilians, latino Americans, Bangladeshis and Asians. Astoria is a melting pot for every ethnicity. The amazing thing about this area is that you can find a Thai restaurant next to a cafe next to an Australian restaurant next to a bakery next to a... you get the drift. It's so accessible by train + bus and only 15 minutes away from Manhattan and did I mention the incredible view you get from Astoria Park of Manhattan. In these last few years we have been noticing the amount of rich-ters ( not hipsters ) moving in the area. You'll find low-key bars like Let Love Inn serving unique cocktails such as the Dirty Brunette which almost feel Williamsburg-ish. Let me get to the point.. the demographic is changing drastically and I see it as a good thing. The neighborhood is definitely coming UP. random fact: Tony Bennett grew up in Astoria. 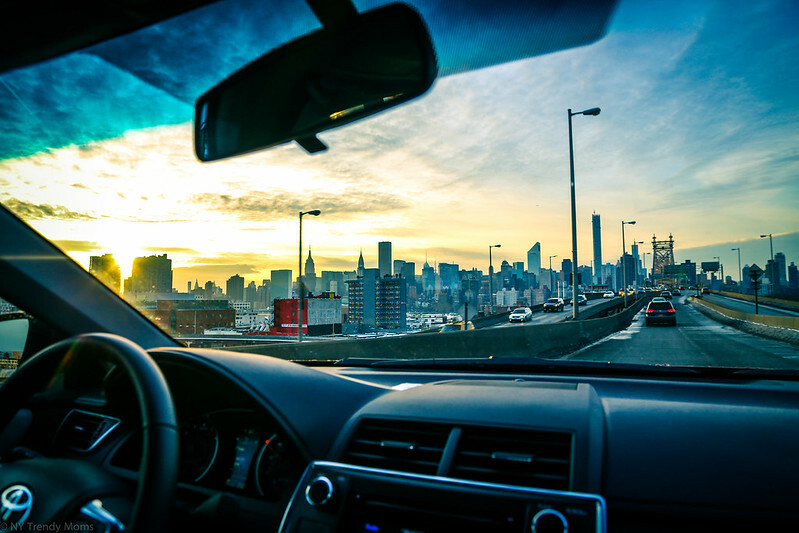 We all know Astoria as the place to find the best restaurants in NYC. & by the best I mean great, fresh food that will keep you coming back for more! 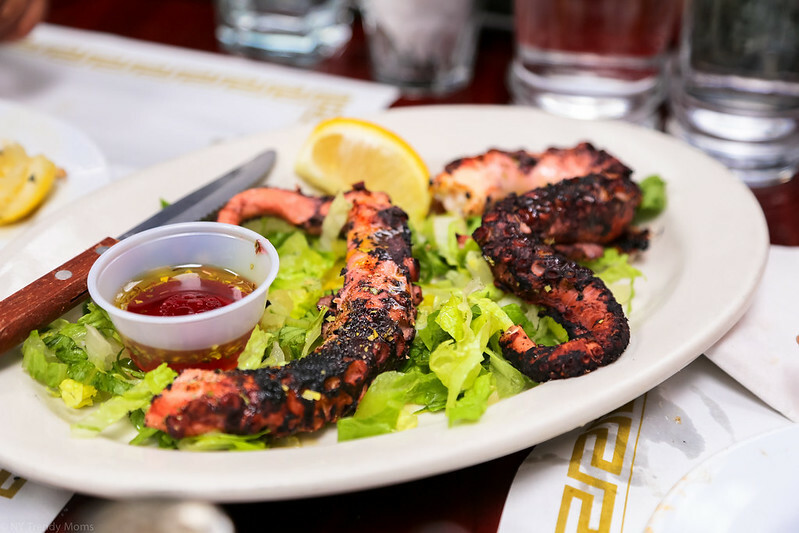 It's very tough narrowing down the best of Astoria because to be quite frankly, there's a lot of great restaurants/bakeries/tavernas and cafes. In todays post I'll be focusing on two of my favorites and most recently visited restaurants. Today I will be sharing with you my daily routine in collaboration with Tide and MBFW. 6:15 am- I wake up in my ultra soft Triumph pj's! I then shower and start my morning beauty routine. 7:00 am- Make breakfast for family and enjoy a glass of freshly-squeezed orange juice and a bowl of fruits or sometimes oatmeal. 7:40 am- I leave the house to take my girls to school and go on my morning jog. I've been test driving the new 2015 Camry for the past two weeks to share my thoughts with you guys. If you follow me on instagram you might have seen a few photos from my visit to Spice Market in the Meat Packing district. Well, today you'll be able to see detailed shots of the place, the food and the all new 2015 Toyota Camry. Lou Reed inspired designs. The Velvet Underground. I hope you enjoy these intimate backstage images from the The Fall 2015 Calvin Klein Collection which is rock ‘n’ roll chic. TGIF! There's nothing more fun than dressing little girls up! So much to add and so many colors and patterns to play with. 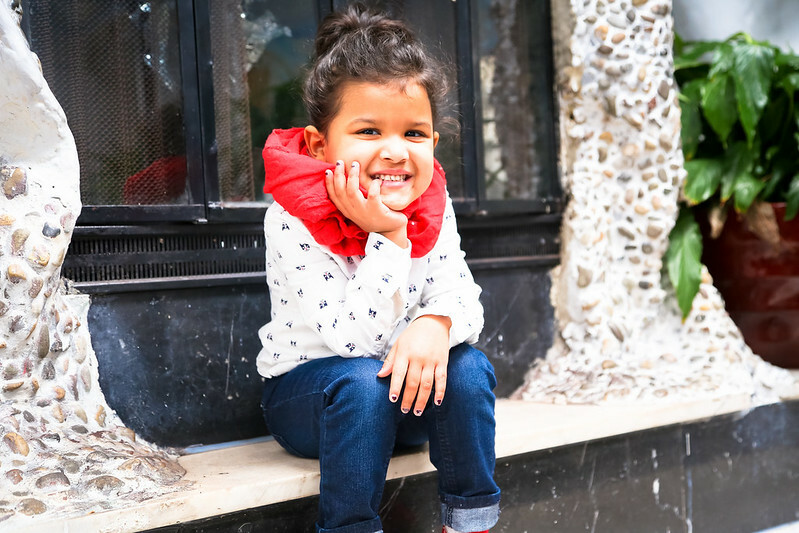 I've teamed up with The Children’s Place to share their Spring collection and give you 3 tips on how to dress little girls. tip #1- Don’t be afraid to mix colors and patterns. If anyone can get away with mixing colors and patterns, is definitely kids. tip #2- Accessories!! 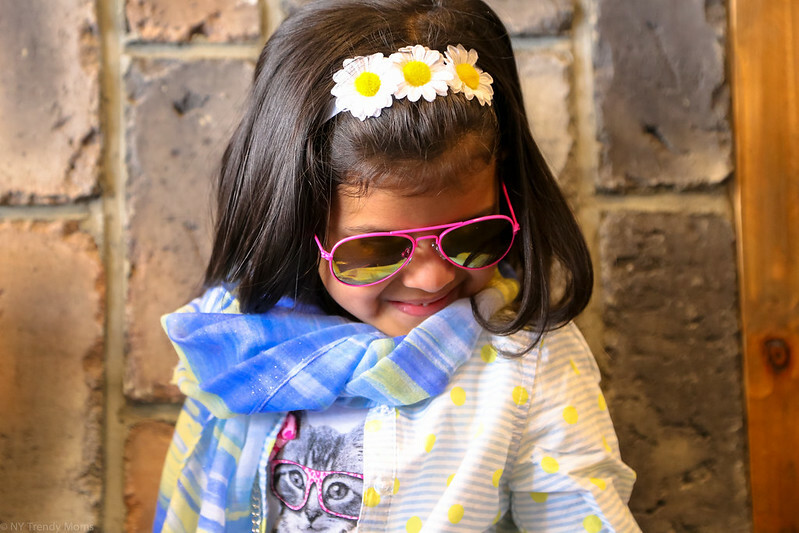 Sunglasses, scarfs, bracelets, handbags and headbands are a great way to personalize outfits for your little ones. tip #3- A pair of silver or white sandals are the best investment for any child during Spring. 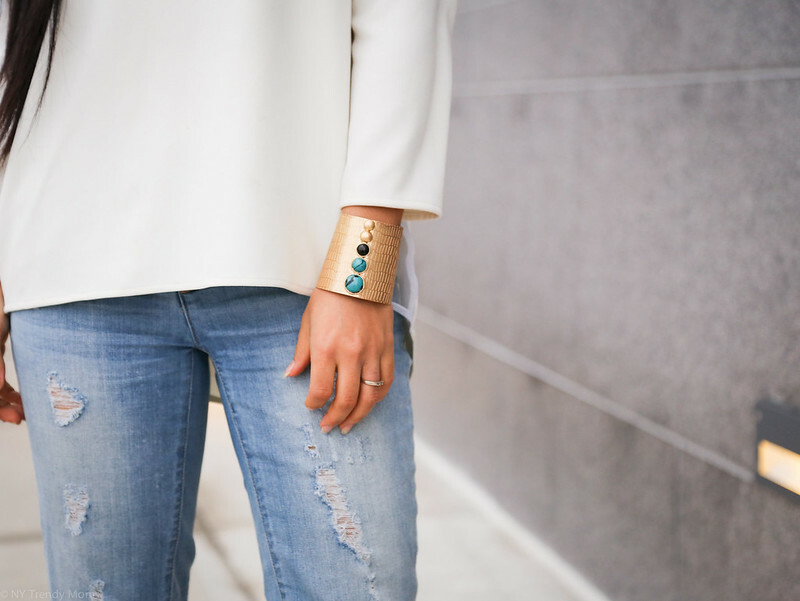 They match with pretty much anything and add the right amount of glam to a casual or dressy outfit. No hay nada más divertido que vestir a las niñas! Tantos colores y accesorios para ponerles. Me he unido con The Children’s Place para compartir su nueva colección de primavera y darles 3 consejos sobre cómo vestir a las niñas. #1- No tenga miedo de mezclar colores y patrones. Si alguien puede salirse con la mezcla de colores y patrones, es definitivamente las niñas. #2- Accesorios!! Gafas de sol, bufandas, pulseras, bolsos y cintas para el pelo son una gran manera de personalizar trajes para niñas. #3 Un par de sandalias blancas o color plata son la mejor inversión para cualquier niña durante la primavera. Coinciden con casi cualquier cosa y añaden la cantidad justa de glamour a un traje casual o elegante. Running errands in Christian Louboutin shoes, J Brand jeans, Skull Cashmere cardigan and the most adorable Mimosas & Waffles top by PB&J Boutique. I hope you have a great Tuesday! Trust yourself, you don't have to become someone else to succeed in life. Este Fashion Week no he podido salir mucho por que me fracture un dedo. Gracias a Dios estoy mucho mejor y lista para salír en tacones. Espero que tengan un buen Martes! Confía en ti mismo, usted no tiene que convertirse en otra persona para tener éxito en la vida. When my family and I were invited to attend The 23rd annual Family Benefit at The Metropolitan Museum of Art we were thrilled because it's our favorite museum in New York City. 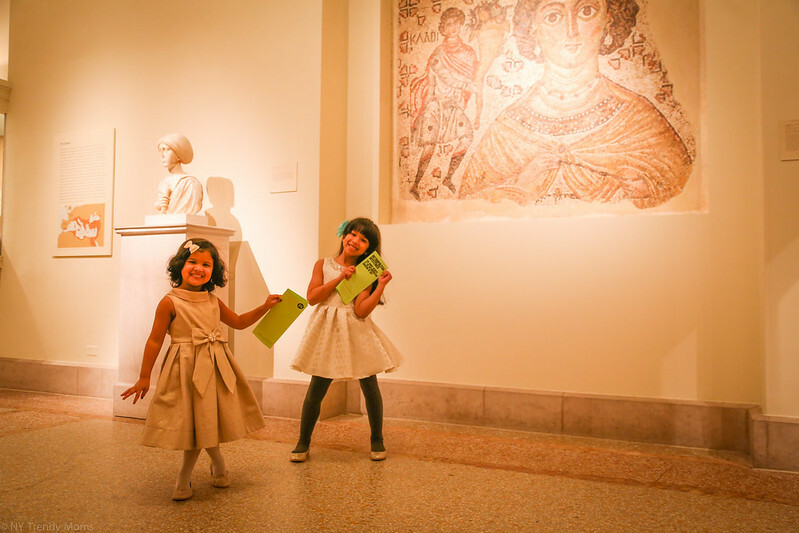 My girls were prepared for a night of fun mystery solving games, arts and crafts, ice-cream eating, puzzle making and at last.. an awesome dance party along with a kid-friendly dinner at the Temple of Dendur in The Sackler Wing. I hope you enjoy the photos below and if you'd like to attend any future events at the Metropolitan Museum of Art, please click here. Happy weekend! Cuando invitaron a mi familia y a mi para asistir el evento de 23rd annual Family Benefit en el Museo Metropolitano de Arte nos quedamos encantados porque es nuestro museo favorito en la ciudad de Nueva York. Mis niñas estaban preparadas para una noche de diversión, juegos, artes y artesanías, helados, rompecabezas y por fin.. un baile increíble junto con una cena agradable para niños en el Templo de Dendur en el ala Sackler. Espero que disfruten las fotos y si desea asistir a cualquier evento futuro en el Museo Metropolitano de Arte, por favor haga click aquí. Feliz fin de semana! Valentines Day is around the corner and I seriously haven't figured out what I will be doing that day. I'm usually the one who plans everything ahead of time, literally one-to-two months before hand. With New York Fashion Week upon us, major changes in my daughters school and activity schedules, travel plans etc, it's been a tiny bit hard to plan something extra special for Moe. To be quite honest I'll probably just take him out to dinner and book an experience from Cloud 9 Living. You might remember our previous adventure on a helicopter around NYC (view here). It was such a special adventure, Moe still talks about it. El Día de San Valentín está a la vuelta y de verdad no se lo que voy a hacer ese día. Normalmente soy la que planea todo antes de tiempo pero con la Semana de la Moda de Nueva York aquí grandes cambios en horarios escolares y de actividad de mis hijas y planes de viaje ha sido un poco difícil planear algo especial para Moe. Yo probablemente lo voy a llevar a cenar y reservar una experiencia en Cloud 9 Living. Puede que recuerdes nuestra aventura anterior en un helicóptero por Nueva York (ver aquí). Fue una aventura especial, Moe todavía habla de élla. Si usted no está seguro qué hacer este Día de San Valentín les recomiendo visitar Cloud 9 Living. Utilice el código VDAY2015NY para recibir $20 de descuento hasta el 15 de Febrero. P.S Aeropostale has officially released their Spring Collection and I couldn't wait to share the news with you guys. One piece I fell in love with is this adorable french bulldog shirt (which I want for myself). Aside from sharing one piece from their collection, I wanted to style a Valentine's Day look for the mini-me in your life. I hope you enjoy it. PS Aeropostale ha lanzado oficialmente su Colección de Primavera y yo no podía esperar para compartir la noticia con ustedes. Una pieza que me encanto es esta camisa con bulldogs francés (que yo quiero para mí). Aparte de compartir una pieza de su colección, quería mostrarles un look perfecto para el Día de San Valentín para niñas. Este look es cómodo y perfecto para usar durante el día. Espero que lo disfruten. A fragrance on the top of my favorites list this 2015 is, À la rose by Maison Francis Kurkdjian. I was introduced to this amazing fragrance a few weeks ago and since then I have not stopped using it. À la rose is long lasting, light to wear in the morning [one spritz and] you're ready to go. Such a soothing fragrance that is certain to impress. I'm happy to share this fragrance as Valentines Day approaches. It's the prefect perfume to give as a gift or to wear yourself on the very special day/night. In the top notes, Damascena rose from Bulgaria, bergamot from Calabria and orange from California offer radiance and a breath of femininity. In the heart notes, an accord of violet and magnolia blossom brings fullness and generosity. Finally, a woody cedar and musk accord mingles with Centifolia rose from Grasse to release an airy and carnal sillage. Estoy feliz de compartir esta fragancia como nos aproximamos a el Día de San Valentín, À la rose por Maison Francis Kurkdjian. Encontre esta increíble fragancia hace unas semanas y desde entonces no he dejado de usarla. À la rosa es de larga duración, puedes usarla en las mañana porque solo necesitas un poquito para . Tal fragancia relajante que es seguro de impresionar cualquier persona. Es el perfume prefecto para dar como regalo o ponérselos en el día muy especial. La fragancia se vende por $245 y está disponible en Neiman Marcus y Bergdorf Goodman. Comprela aquí. There's nothing worst than feeling stuck in your house because of the bad weather, right? Why not make a good situation out of a bad one? That's exactly what my family and I did. We headed to the Woodloch Pines Resort in Pennsylvania in collaboration with Vaseline Intensive Care and The Moms for a family fun weekend. In this post you'll be able to see all the fun activities we did during our stay. No hay nada peor que sentirse atrapado en su casa debido al mal tiempo, ¿verdad? ¿Por qué no hacer una buena situación de una mala? Eso es exactamente lo que mi familia y yo hicimos. 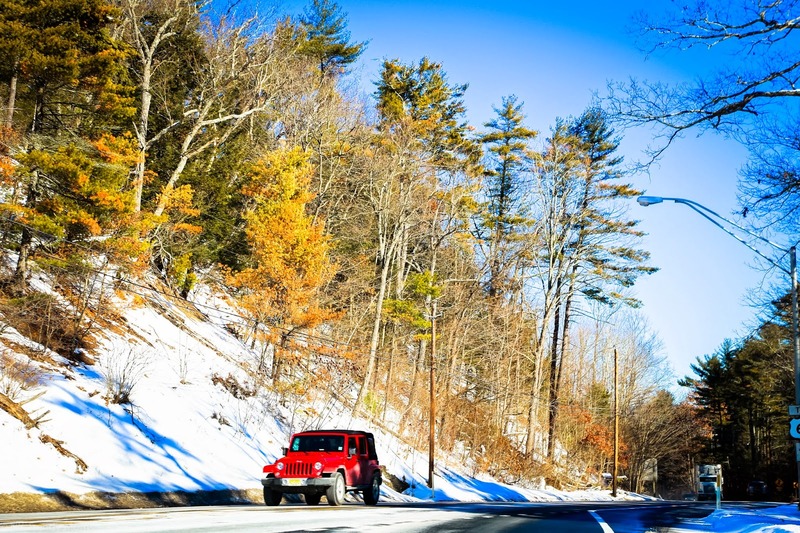 Nos dirigimos a Woodloch Pines Resort en Pennsylvania en colaboración con Vaseline Intensive Care. En este post puedes encontrar las actividades divertidas que hicimos durante nuestra estancia. Espero que todos ustedes tengan un maravilloso fin de semana! 50 Random Facts about me!